A group of scientists at Sevastopol National University of Nuclear Energy and Industry (until 1992 — Sevastopol Higher Navy Engineering College trained specialists for nuclear submarine force) developed a unique technology for the processing of explosives into organic fertilizer, reported to RIA Novosti on Thursday Gennady Baranov, researcher of biochemical laboratory of the Institute, one of the authors of the technology. “The process lasts from 15 to 115 days and does not require direct human involvement,” — said the scientist. 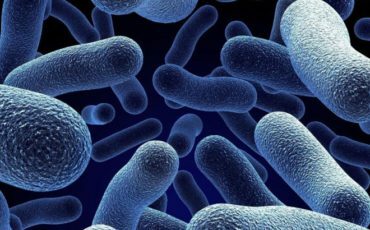 According to him, the uniqueness of the invention is the main component — bacteria. “It’s an organic mixture that “eats” explosives and chemicals, at the same time producing the absolutely pure fertilizer that can be used in the national economy. We can destroy the ammunition of the Great Patriotic War (WWII) right on the spot, literally pouring our drug on a shells that will “eat” all the explosives, and the metal will remain intact, then it can be used for recycling,” – said Baranov. The RIA Novosti correspondents personally observed as in the laboratory of the Institute in organic environment were destroyed grenades and shells. After disposal remains metal shell and the selected bacteria fertilizer is poured into an aquarium with fish that are OK with that. The scientist also said that the technology was patented, but the composition did not name, explaining that it is the author’s secret. Potential customers — EMERCOM of Russia and EMERCOM of Ukraine, which regularly destroy found on the battlefields shells and mines of times of WWII.